This past March, Sports Illustrated picked the Indians to win the World Series in their annual MLB preview. 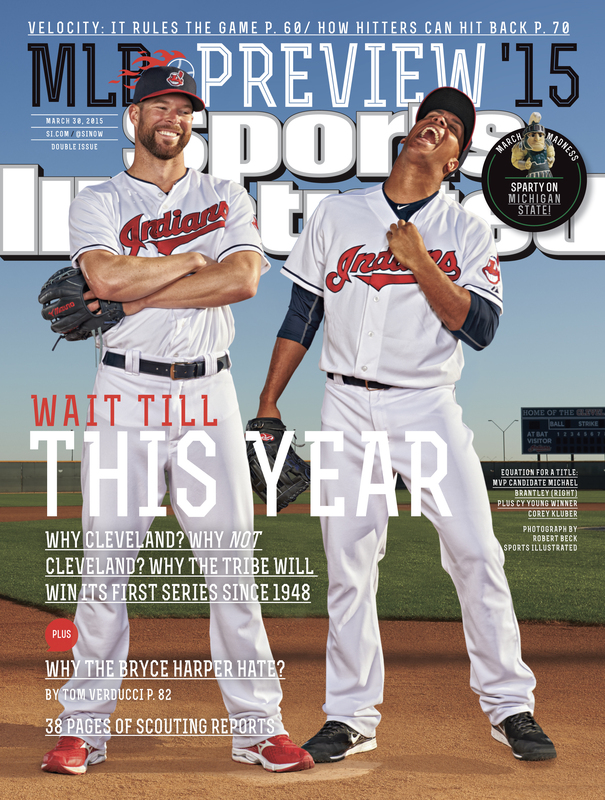 This is not the first time that SI picked the Tribe to win the title. In 1987 the sports magazine picked the Indians to win their first championship since 1948. Appearing on the cover were Cleveland sluggers Joe Carter and Cory Snyder. SI heralded the Tribe as “the best team in the American League.” The Indians were the exact opposite of that finishing in last place in the American League East. 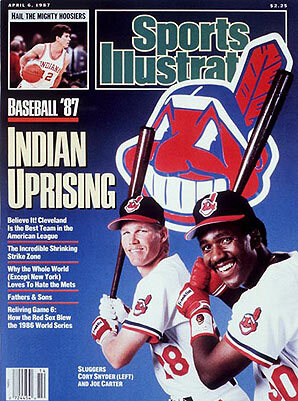 Not only are the Indians victims of the “SI Cover Jinx” but they are also believed to be cursed. Similar to the “curse” that was placed on the Red Sox, the Indians have the “Curse of Rocky Colavito.” The curse came from the unpopular trade of Colavito to the Detroit Tigers for Harvey Kuenn in 1960. The 2015 Indians are much better than the 1987 squad even if their record doesn’t show it now. The Tribe are currently in last place in the Central Division with a 12-21 record. The Indians are not playing to their full potential so far this year. The beautiful thing about baseball is that it is a very long season. The Indians have plenty of talent and I think a trade or two could help this team make a deep playoff run. On paper Cleveland’s offense is loaded with 2014 MVP candidate Michael Brantley, Yan Gomes, Jason Kipnis, Michael Bourn, and Carlos Santana. All of these players have low batting averages and are capable of better production. The Tribe’s biggest offseason move was the acquisition of slugger, Brandon Moss. Moss has struggled so far with a .238 batting average and five home runs. He showed some promise on April 25 against the Tigers, homering twice and driving in seven runs. The Indians pitching staff could use run support and some increased production from Moss would be huge. The Tribe’s biggest strength this season is their pitching staff. The Indians ace is 2014 American League CY Young Award Winner, Corey Kluber. Kluber has had a tough start to the season with a 1-5 record. He picked up his first win of the season on Wednesday against the Cardinals and he was lights out. Kluber put on a clinic striking out 18 batters over eight innings while allowing only one hit with no walks. He earned a game score of 98, which is incredible considering that the average score is 50. Kluber should have more than one win right now, but he has gotten no run support from his teammates. If Kluber can build off of his dominating performance and get some run support, the Indians will start to win more games. The Tribe have three other solid pitchers in Danny Salazar, Trevor Bauer, and Carlos Carrasco. Salazar and Bauer are two young guns that have a wicked fastball, but both have struggled early on this season. Salazar has a ERA of 3.27, while Bauer has a 4.19 ERA. Carrasco is off to a decent start with a 4-3 record, but has an ugly 4.89 ERA. It is only the second month of the season and I believe that the pitching staff will get into a groove and start to improve. The Indians have won two World Series titles in franchise history. The first came in 1920 in a 5-2 best of nine series win over the Brooklyn Dodgers. The Indians were led by player-manager and Hall of Famer, Tris Speaker. The Tribe won their second championship in 1948 against the Boston Braves 4-2. The Indians had arguably one of their greatest rosters of all-time that year with Hall of Famers, Bob Feller, Larry Doby, Bob Lemon, Satchel Paige, and Lou Boudreau. Even though the Indians do not have any future Hall of Famers currently on their roster, they have a lot of promise. If the Indians can give their pitchers run support and improve defensively, this team could make a playoff run. It has been 67 years since the Indians won a World Series. It is a drought that has seen three losses in the fall classic, including a heartbreaking game 7 loss to the Florida Marlins in extra innings in 1997. I do not think that the Tribe will win the World Series this year with their current roster. I believe that within the next five years the Indians will break the Curse of Rocky Colavito and capture their first World Series Title since 1948.